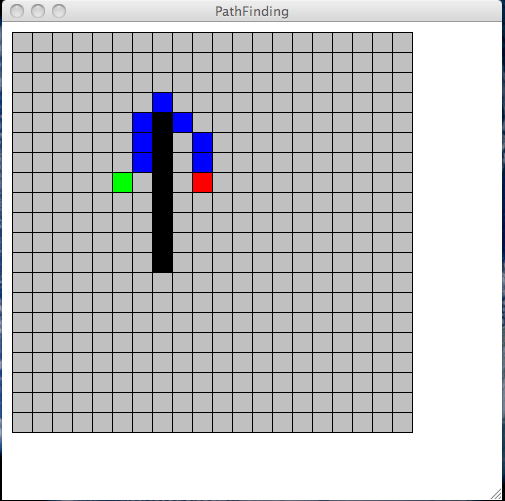 The is a demonstration of A* path finding algorithm. The green square is the starting position, and the red square is the final destination, the black square are holes where you can't walk on, the blue square is the actual path. You can set each square to different types of nodes by right clicking on it.